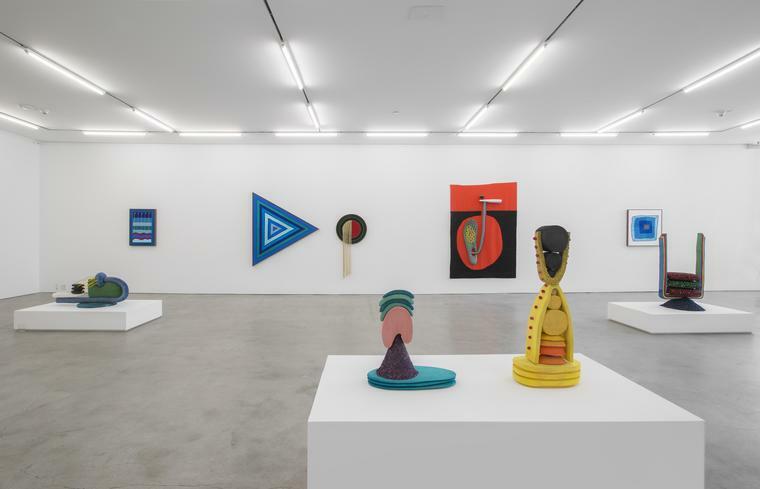 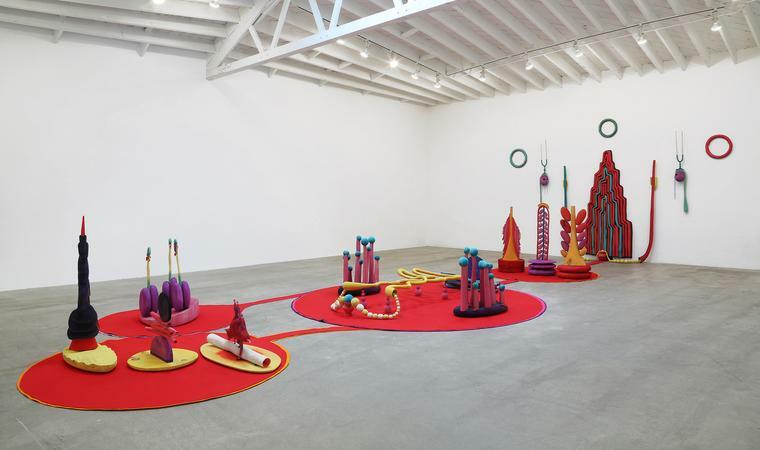 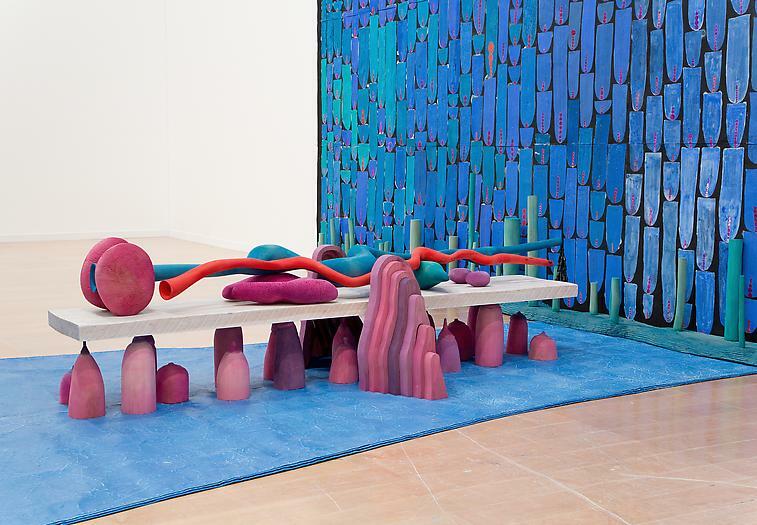 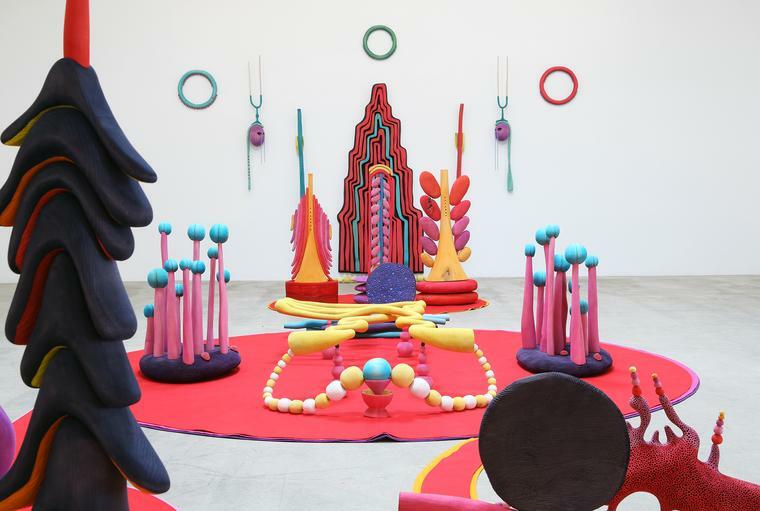 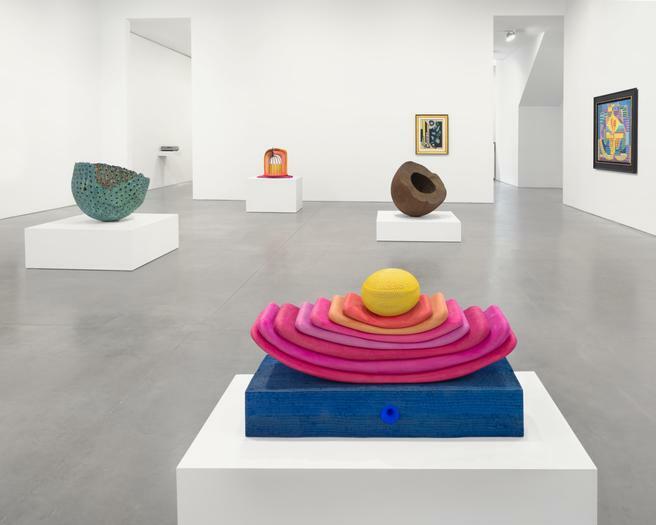 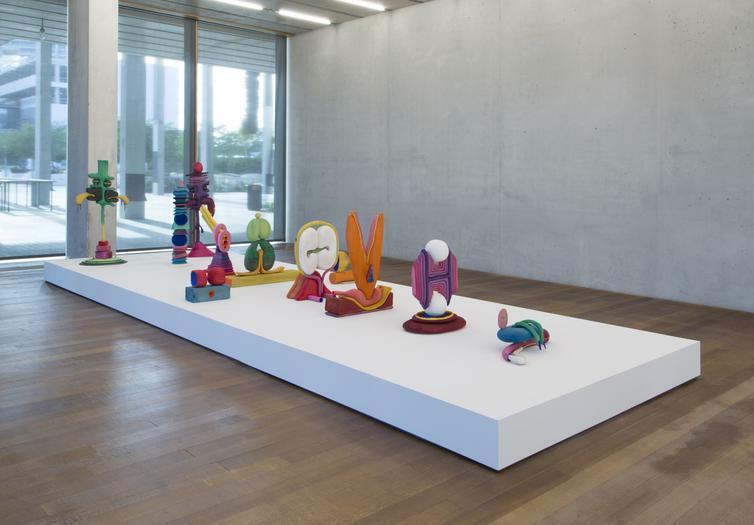 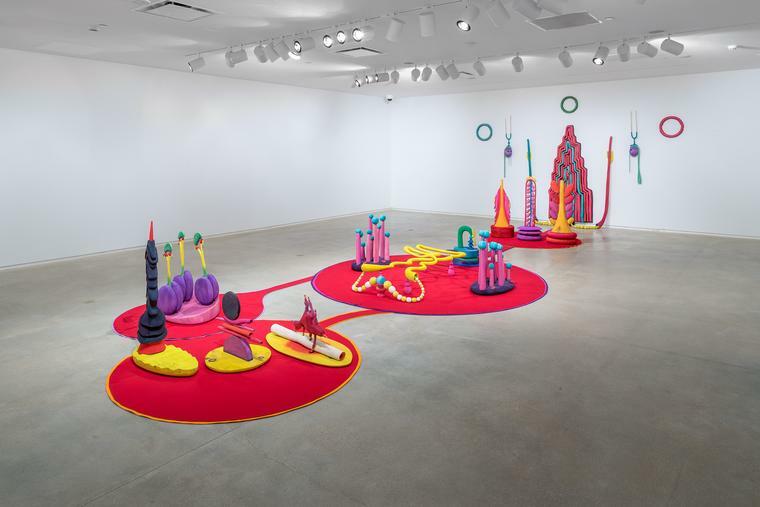 Melding vocabularies of modernist abstraction and ritualistic objects, Matthew Ronay's sculptures and enigmatic installations express the primacy of the handmade object. 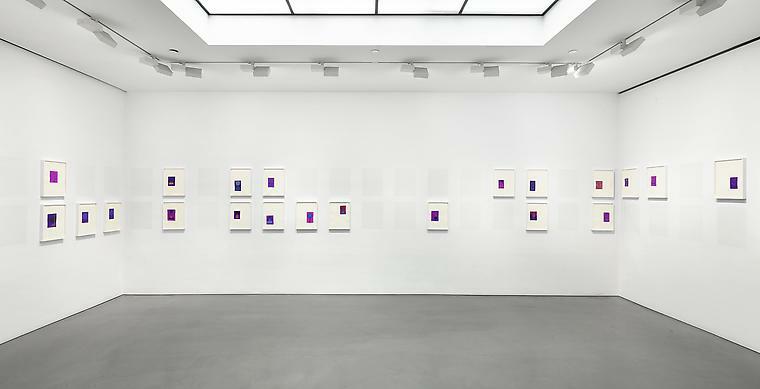 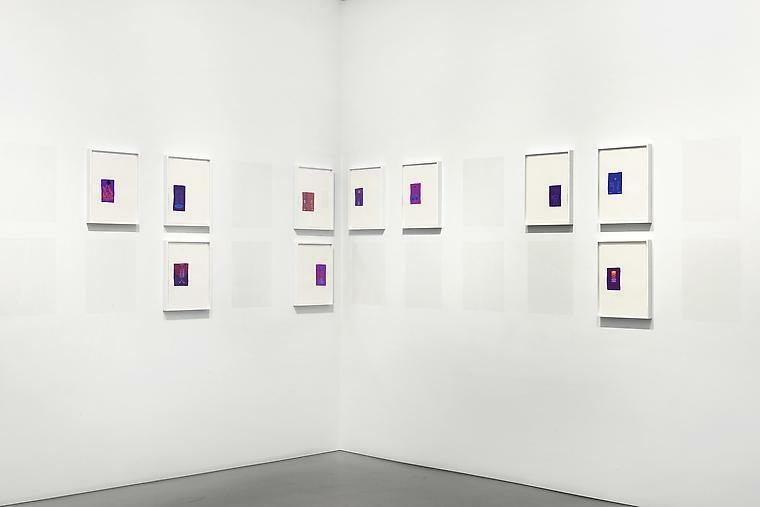 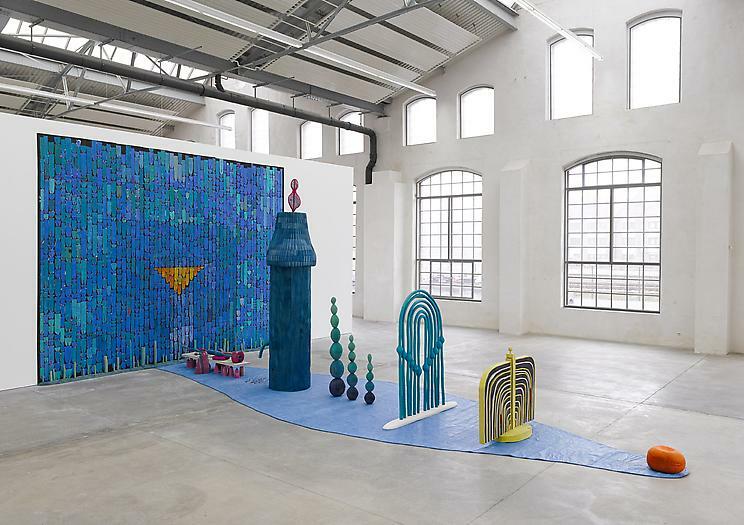 Suggesting the transcendent qualities of our bodies and the world we inhabit, Ronay’s meticulously crafted works embody modes of visual production that remind us that objects are not merely representations of a material culture of mass production, but rather are sites of projection: acting as locations which embody and reflect our inception and corporeal struggle. 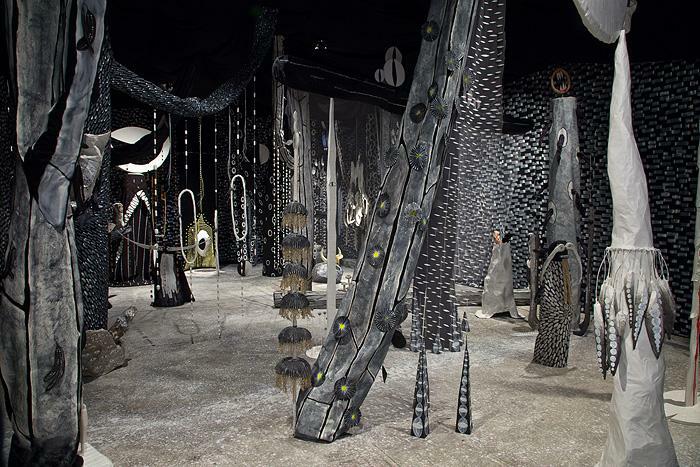 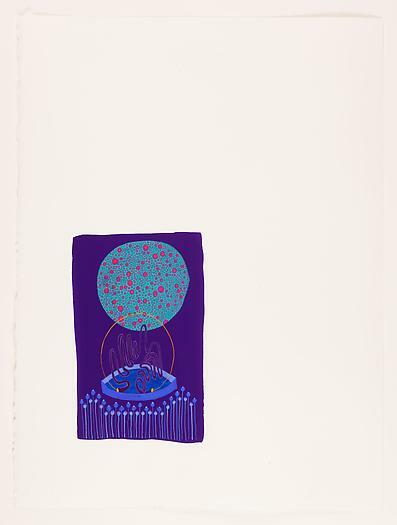 Formally drawing on traditions of non-Western art making, folk and pre-avant-garde art, as well as surrealism, mythology, and psychedelia, each tongue-like protuberance, textured edge, nook, hole, and orifice articulate Ronay’s distinct visceral language. 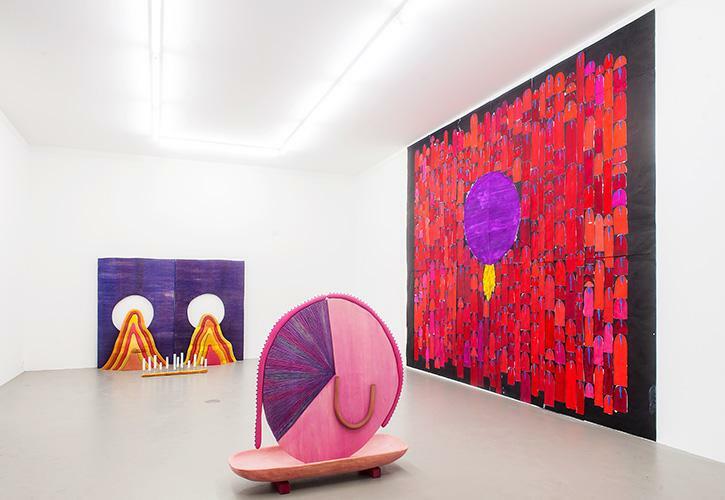 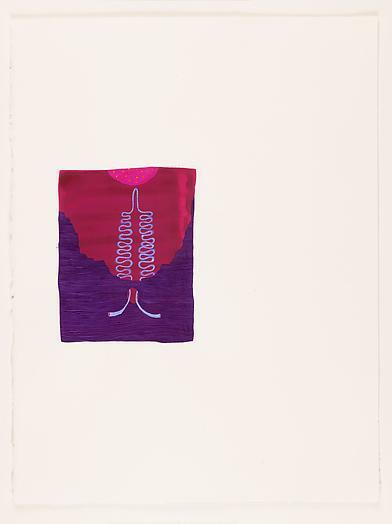 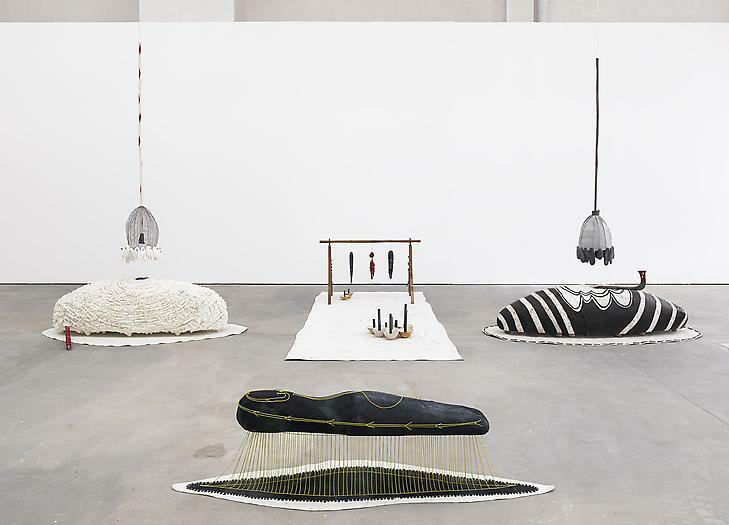 Catarina Leitão "Tamed Nature" and Matthew Ronay "Outlaw Biker Gang"